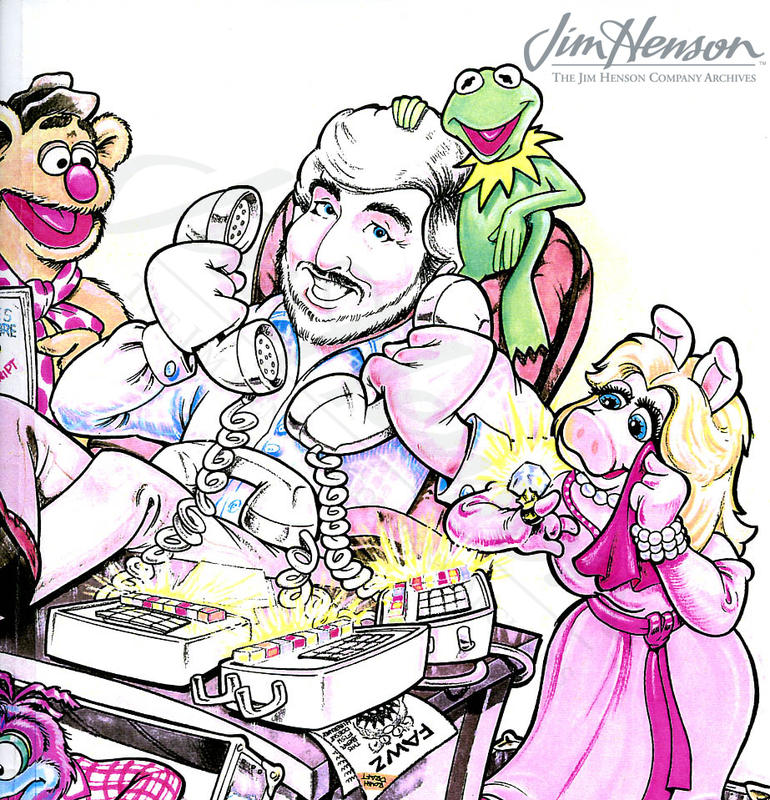 For his first feature film directing effort, The Great Muppet Caper, Jim was careful to pull together an experienced team. When it came to logistics, there was no one better than Martin Baker, who would serve as the location manager for the film. 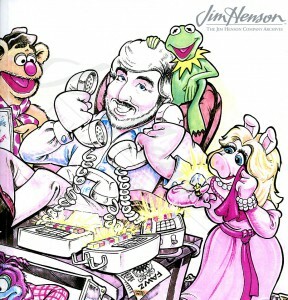 Jim had first met Baker in 1971 when he was the guest travel coordinator for a Tom Jones special that the Muppets taped in London. As part of the group working at ATV studio, Baker was the floor manager for The Muppet Show and proved himself invaluable to Jim and the performers. Baker’s work on Caper helped launch his producing career and over the last thirty-five years, his credits include dozens of Henson productions. He continues to work with the Muppets and The Jim Henson Company through his independent company Baker-Coogan Productions, most recently on the feature film, The Muppets and the series, Me and My Monsters. Learn more about Martin Baker and his location work on The Great Muppet Caper and his first interaction with Jim on the Tom Jones special. 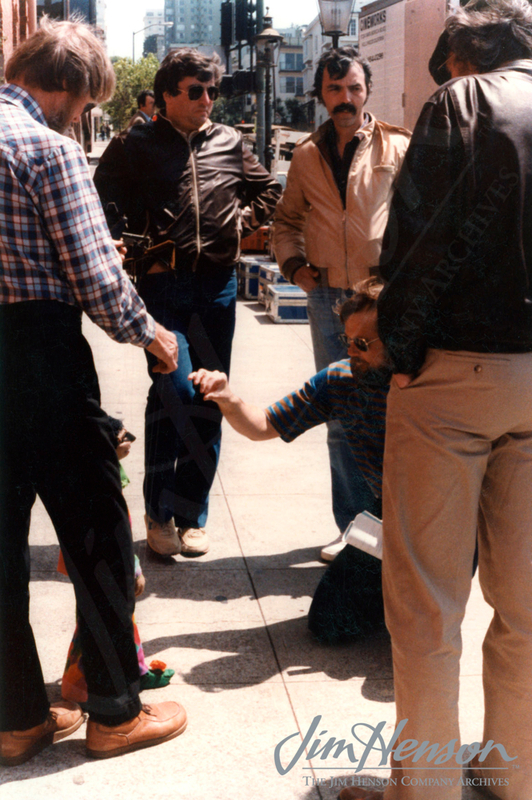 Martin Baker (in brown jacket) watching Dave Goelz rehearse Travelling Matt for a Fraggle Rock insert, 1980s. Artwork created for a party in Martin Baker’s honor, 1999. This entry was posted in 07-July '80, 1980, Great Muppet Caper and tagged London, Martin Baker, Me and My Monsters, Muppets, The Great Muppet Caper, The Muppet Show, Tom Jones Show. Bookmark the permalink.